Step 2: In the upper right menu, select "Access"
Step 3: Click "API users"
Step 5: Click "New user"
Step 6: Enter a description (Eg. WisePops) and set a password. Then click "Save". 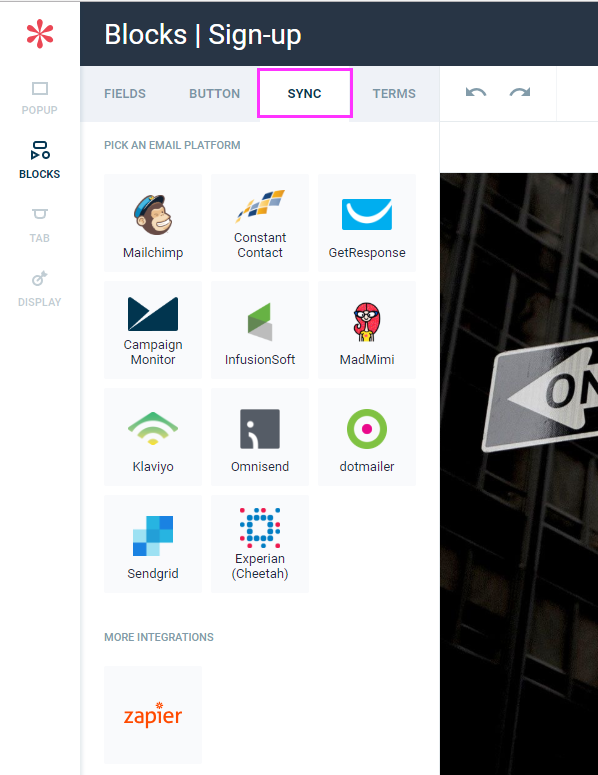 Step 9: Hover your mouse over your email block and click it. 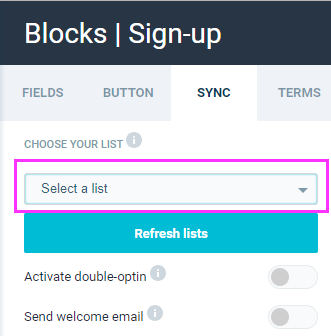 Step 10: In the left menu, click "Sync"
Step 13: in the menu pick the list you want to send your new contacts to and click "Save".